WARSAW — Police reported that when they attempted to serve a warrant on a Warsaw woman who was wanted in Allen County, they found her in possession of illegal drugs. 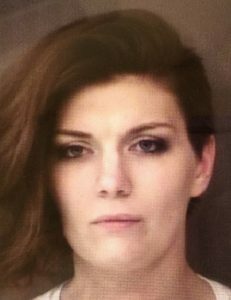 Arista Ann Butcher, 26, 4032 N. Old Port Road, Warsaw, is charged with possession of methamphetamine, a level 6 felony; possession of a narcotic drug, a level 6 felony; and possession of a syringe, a level 6 felony. According to police, officers from the Warsaw Police Department were dispatched to a Warsaw residence where Butcher, who police say had active warrants in Allen County, was currently known to be located. Police say when they arrived, they talked to a female at the residence who allowed officers to enter the home. Once inside, police say they saw another woman that they recognized to be Butcher. Police reported that Butcher was immediately arrested and searched. On Butcher’s person, police reported finding a plastic container that contained a white powdery substance. Police said the substance field tested positive as both heroin and methamphetamine. Police reported also finding two syringes near Butcher’s belongings. Butcher is scheduled for an initial hearing date of Nov. 29 at 8:15 a.m. in Kosciusko County Circuit Court.